“Whatsoever is born of God overcometh the world” (I John 5:4). We have already addressed how victory brings deliverance from our carnal ways that, before we are born again, totally control our lives. Now we must realize that biblical victory empowers us to be over-comers, not only over our carnality but also over our adversary, Satan, and over temptations that this world system is constantly waving in front of us. Revelation 2:17 says, “To him that overcometh will I give to eat of the hidden manna.” What is the hidden manna? It is the power and revelation of the Spirit that are released in our lives through obedience to the Word of God. It is the development of what the Bible calls “the mind of Christ” within us. One of the greatest challenges of our walking with God is to resist the temptation to allow what happened in the past to determine who we are today. As a believer, each of us need to declare, “I am not what happened yesterday.” Many are plagued all their lives by memories of past bad experiences. Knowing that victory is working in my life will help me put these things behind. The fact is most all of us who come to Christ come damaged. We are dead spiritually, damaged emotionally, and dying physically. When God delivered you, He quickened, or made alive, your dead spirit. He, of course, also promised you a new body and eternal life. 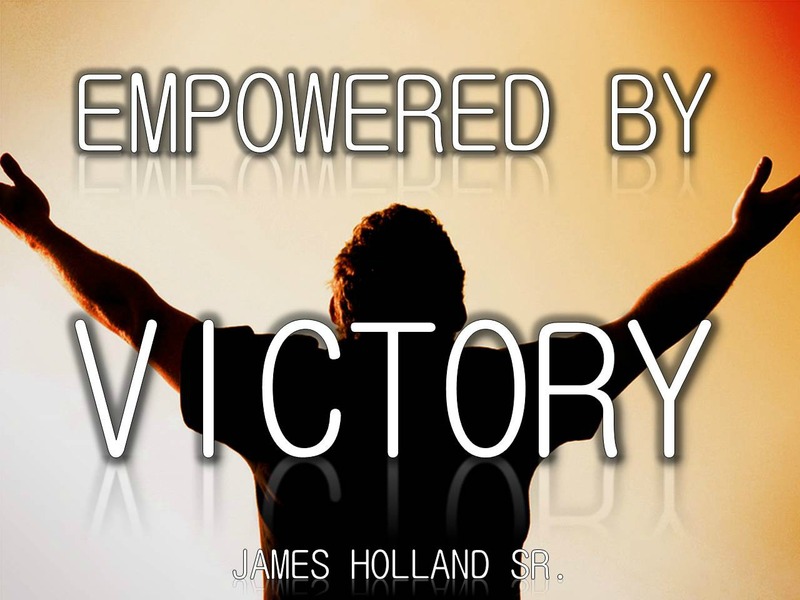 Then, through the infilling of the Holy Spirit, the power of God was released within you. At that point, God began the massive work necessary to repair your damaged thoughts about life, others, and yourself. 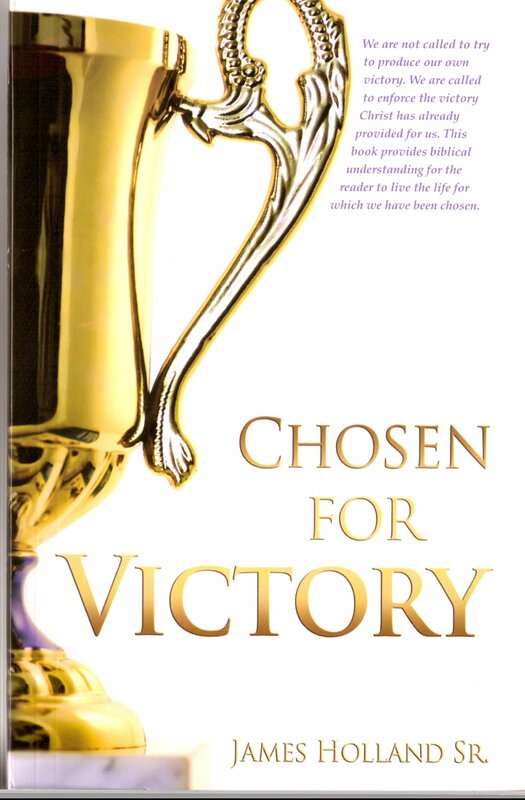 Do you begin to see why Satan doesn’t want us to know that we are chosen for victory? Once the Spirit of God connects with our spirit and we surrender to Him, not only is our spirit changed, but our heart—the center of emotion, desire, and will—is changed also. Yet it doesn’t stop there. The Spirit also immediately begins the process of renewing our mind. Mind is described as “that which thinks or thinking processes that produce personality, sanity, which means mental soundness.” Our mind is continually being renewed by the Holy Spirit. Ephesians 2:10 says, “For we are his workmanship, created in Christ Jesus unto good works, which God hath before ordained that we should walk in them.” Once we understand the connection of mind, heart, and spirit and truly allow God to work freely in each area, we will walk in the true power of victory. Christ had a balanced mind. 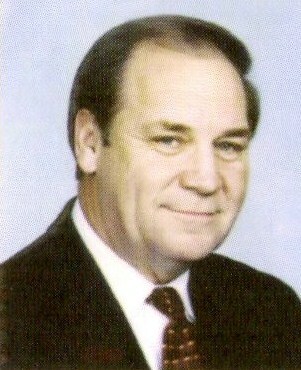 That is, He did not allow the controversial opinions of others to determine who He thought He was. His inner perception was fixed! We need to be fully aware of who we are in Christ. This is done through a daily intake of the Word and of the presence of God. The Bible talks a great deal about the thinking process of our mind. Romans 12:2 exhorts us to renew our minds. Isaiah 26:3 promises peace to those whose minds are stayed (fixed) on God. The biblical message is clear. What we think plays a critical role in determining emotional and spiritual health. God, who is truth, wants us to think and believe the truth because doing so empowers us to be free from our sins and to live the abundant life God has promised. We must understand that modern medicine can heal many afflictions of the body and can even treat the tumors that sometimes attach themselves to the brain, but only God Himself can heal the mind! Ideas are how we assign meaning to what we see and hear. They are also Satan’s primary focus in his effort to dismantle God’s purpose in our lives. Ideas are beliefs based on life experience and world-views. These ideas produce images that are concrete and specific pictures or memories of life. These ideas, coupled with images, produce feelings that can be described as the passions and desires that we experience. “(For the weapons of our warfare are not carnal, but mighty through God to the pulling down of strong holds,) casting down imaginations, and every high thing that exalteth itself against the knowledge of God, and bringing into captivity every thought to the obedience of Christ” (II Corinthians 10:4-5). Satan desires to plant seeds in the form of thoughts. These evil seeds aren’t yours because they come to mind; they become yours when you allow those thoughts to move in and rearrange your goals. These evil thoughts impede progress and destroy morals. This is not just about positive thinking It is much deeper than that. Many people, especially Christians, speak positive things. Christians will even quote the Bible and make positive statements in the face of crisis. Unfortunately, true victory is more than making a positive statement. Victory is the result of not just making a biblical statement but rather allowing the Word to be at work in our mind, changing and transforming our thoughts so they align with the Spirit of God at work in our lives. When there is a true alignment of word—action proper thoughts, we begin to act on, or live out, what we believe! The three Hebrew boys had no pre-approved promise that God would deliver them from the fiery furnace! They did, however, have the total confidence that their God was well able to deliver them. The furnace experience was not what produced victory in their lives. Their confidence in God and what they knew of the integrity of His Word had already produced victory. The furnace was just the outlet to expose the victory they already possessed to all who were in attendance that day. Our trials today do not produce victory. Having the mind of Christ, walking daily in fellowship with Him, and understanding His Word at work in us are what give the victory. In fact, if you think you only have victory once you have encountered a trial and somehow struggled through it, you are open prey for the lies of the enemy. Trials do not bring us victory. The death, burial, and resurrection that brought salvation to all who will receive Him through our acceptance, obedience, and daily fellowship with Him are what give us victory! “How great are your works, O LORD, how profound your thoughts!” (Psalm 92:5, NW). God Himself is reaping the rewards of His own thoughts. And so are you! Let’s move in a little closer on this idea of the mind of Christ. It goes without saying that God doesn’t continually have to be convinced over and over again that He is God and that there is no one else like Him! Once we understand the process of walking daily with Christ, neither will we have to be convinced over and over that we have been given victory through Christ! This is one of the main reasons many believers are not fully living in the victory that has been made available. We may speak positively, yet in most cases we are speaking one thing with the confession of our mouth while thinking another. There is a strong connection between thoughts and actions. The Scripture tells us that “with the heart man believeth unto righteousness; and with the mouth confession is made unto salvation” (Romans 10:10). What was Paul telling us here? He was saying that if our thoughts are not aligned with our confession, our house (life) is divided against itself. Jesus declared that a house divided cannot stand. Even God works out of the reservoir of His own thoughts. He does not consider what others think about you before He responds to you. That is what we do, not God! Scary, isn’t it? God works out of His own thoughts that He has toward us. This is why the Scriptures are replete with instances of God reaching out to humanity. It might be a good idea to follow God’s pattern. Stop trying to change the minds of other people; just start working on changing your mind to align with what God says about you. Your confession is powerful once the mouth is truly saying what the mind is thinking. So plant good seed. The harvest field that God wants to plant is in your head. Amidst all your struggles, all your troubles, all your dysfunction, He wants you to develop the mind of Christ, a mind fixed on living for the glory of God. Water that seed with your tears of commitment. Protect the seed with prayer and praise, and they will grow, even when others may be trying to command a drought in your life. It’s your mind, your life, and God says He has chosen you for victory. Believing: accepting what God says. Applying: acting upon what I am thinking, what I have accepted to be God’s Word. God’s thoughts are perfectly true, and He is more than willing to help us to believe the truth. Our emotions and actions will be transformed as we replace lies with truth. This is a difficult and lifelong process that involves challenges at every turn. However, as we grow in our awareness of the unbiblical beliefs that many of us still cling to, it will become easier to commit ourselves to taking a biblical view. Our minds will be renewed and we will experience true victory in Christ. The abundant life Christ promised us is ours if we will commit ourselves to a life lived in truth. Can you really trust in God? It’s all about fear that God won’t come through. We don’t see God working so we think, I’ve got to do something, get something moving, take some action, produce some results. Fear and lack of trust are Satan’s bread and butter. Never mind that there are 366 “fear not’s” in the Scripture. That’s more than one for each day of the year. The antidote for fear and a lack of trust is knowing what God actually says about it. “Do not let your hearts be troubled. Trust in God; trust also in me” (John 14:1, NIV). “Whoever follows me will never walk in darkness, but will have the light of life” (John 8:12, NIV). “God is our refuge and strength, an ever-present help in trouble. Therefore we will not fear” (Psalm 46:1-2, NIV). If God is in it, then a blessed life will be easy and always fun and will run smoothly. We believers love this one. Try this on our brothers and sisters in third-world countries where there are tremendous poverty and bloodshed, yet they are having tremendous revival even at the cost of lives! Satan loves it when we allow our culture to set the standards for the church. We are inundated in our Western culture of capitalistic social structure with the false message being declared 24/7 that it is God’s will for life to be easy and without opposition and for all believers to be materialistically rich! While it is very true that God declares blessings for us in His Word, a closer look at His promises tells us that we can be prepared for more than just blessings. In fact, blessings in a biblical context are quite different from the definition of blessings many propagate today. Look at what Jesus promised: difficulty and persecution, saying that we should be glad because He will turn it into good (Matthew 5:11-13; John 16:33; Romans 8:28-29; James 1:2-4). Salvation is a private matter. Don’t press people. Another of Satan’s favorite false ideas is that salvation is a private matter, so we should not talk to people about their salvation. Of course, it is clear to see why he would want us to believe this. Nice, one-dimensional, self-centered, non-witnessing Christians are no threat to Satan. I don’t have the gift of evangelism. It’s not my thing. Jesus did give us a great commission, not a limited contract! I don’t have the time right now! Be aware of how you cash in your time of life, because you will not get it back! As a Christian, I am commanded to invest time in others. The ideas that need to be transformed are deeply embedded, so we must allow the Scriptures to go just as deep. Maybe you are like me; I am guilty of reading the Bible only for information many times, trying to coordinate Scripture for Bible study or a message. If I am going to develop the thinking processes that God wants to release into my life, I must go deeper than just reading for information. I must add prayer to my study of Scripture. I must allow the Word to challenge my ideas to see if they are in line with what God says. I must read and honestly pray that God will let His Word speak to me today, let it become a part of my life, and show me where I am presently. Then, I must listen with my heart intently because God will speak to me through His Spirit by His Word. This was one of the main ingredients that empowered the early church, no doubt. We see in Scripture that they were continually studying the Word, praying, and having fellowship, as well as evangelizing the world. Our lives as believers should be a continual construction site, where the Spirit of God is at work on our mind, our heart, and our spirit, making us into the person for His cause He knows we can be. So let God open some new doors in your walk with Him. Know that we develop the mind of Christ idea by idea, passage by passage until the ideas of Christ crowd out and replace the destructive ideas that have held us captive. There are spiritual doors that God wants to open for us right now, regardless of what season we may be at in our lives. Some will open easily. Some will be more difficult to open, but they are still doors that God sets before you. Will this door open our families’ hearts to the truth of the gospel? Is this the door that will bring answers to that long-awaited prayer? Is it the door that will bring great revival to your local church? What opportunities could be in front of you, waiting for you to knock, waiting for you to enter? One thing is for sure; until we think and see and act as God wants us to, we will not even notice the new doors in our lives. Notice the latter portion of Scripture, “shall go in and out, and find pasture.” This verse is certainly not alluding to the idea that as a believer I can live just any way that pleases me, and God will allow it. No! Within this verse is the golden nugget that will make you spiritually rich and strong beyond your imagination. “Shall go in and out” has to do with the daily living, the daily relationship, the daily victory that God has for you. Through the process of one’s life, there are many goings in and comings out. Many doors will be opened and shut during a lifetime. Jesus was saying, “Now that you understand who I am, now that you accept my Word and act upon it, I will be with you in all of the activities of your life.” Look at the rest of the verse, “and shall . . . find pasture.” Pasture refers to everything I will ever need in my life spiritually, physically, emotionally, financially, and so on. Everything I will ever need! For sheep to survive they did not just have to have a good shepherd, they also had to have pastures to feed in that they may grow, produce wool, and reproduce offspring. Pasture represents daily bread. Jesus says once we declare Him to be the only door to salvation, He releases the freedom for us to go forward daily in life, knowing that He will provide the pasture that we need. Again, this is not something He is working on. It’s already done! 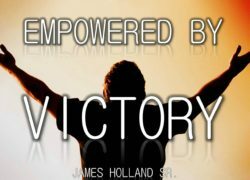 This article “Empowered by Victory” written by James Holland Sr. was excerpted from Chosen for Victory and may be used for study & research purposes only.